Rob Lowe wears Tom Ford Marko sunglasses in How To Be A Latin Lover. 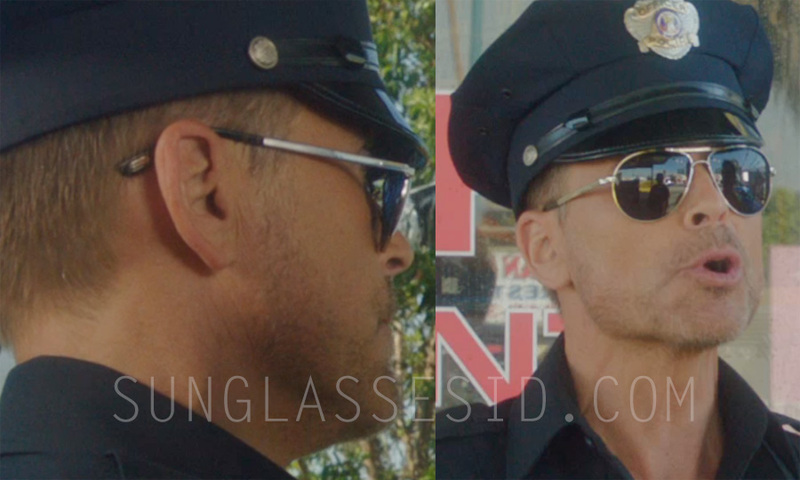 Rob Lowe wears the Tom Ford Marko sunglasses in How To Be A Latin Lover, with his cop outfit. The glasses have a silver rhodium frame and blue lenses. These are the exact same sunglasses as worn famously by James Bond (Daniel Craig) in SkyFall. How To Be A Latin Lover stars Eugenio Derbez (unknown eyeglasses), Salma Hayek, Kristen Bell, Raquel Welch, Raphael Alejandro (Nike eyeglasses) and Rob Riggle (Oakley Flak Jacket sunglasses).